Socialist and Democratic rising star Alexandria Ocasio-Cortez doesn’t want a policy debate on the merits of socialism. Instead of simply declining the invitation, she blasted the conservative who challenged her to a debate saying that he was "catcalling" her. If this is what catcalling looks like in 2018, we've come a long way. Conservative columnist and hostBen Shapiro challenged Ocasio-Cortez to come on his show and debate him offering to pay $10,000 to Ocasio-Cortez’s campaign or a charity. Several conservative women have now challenged Ocasio-Cortez to a debate as well. Are they catcalling her too? It seems she has nothing to say about them. "A bit of hyperbole? Absolutely. But Ocasio-Cortez’s tweet gets to the heart of women’s experiences, in both life and politics. Shapiro’s challenge to her demonstrated how as a society we value — or more correctly, do not value — women’s expertise, experience and time." So, when a man challenges a woman in politics about her policy positions he is devaluing her? If that were true we would never have political debates with men or women. Even a debate between women but moderated by a man would be off limits. “Let me be clear. Ocasio-Cortez did not need to address Shapiro at all. He is not her opponent in November. He’s not even another politician. He’s simply a public commentator, albeit a prominent one in conservative circles..."
"Catcallers are never trying to compliment their targets. They are rather attempting to remind them that the targets’ ability to go about their business in public is forever subject to the catcallers’ challenge. What Shapiro did to Ocasio-Cortez is something women who attempt to engage in the public space deal with all too often — just ask Nancy Pelosi." Catcalling is one thing, a challenge to debate is another. Whether you consider catcalling an innocent compliment from a stranger or a vulgar shout of a sexual nature, neither of these occurred in this case. This was not about her looks, body, or anything related to her womanhood. Ocasio-Cortez and this writer are looking for sexual harassment where there is none. Unfortunately, we live in a hypersensitive environment where today’s feminists call everything sexual harassment or sexual violence, which diminishes the real instances of wrongdoing. Ocasio-Cortez has every right to decline the invitation, but it seems she was just trying to dodge what could be an embarrassing debate and the ensuing stories, video clips, and memes that would follow which could tarnish her campaign. 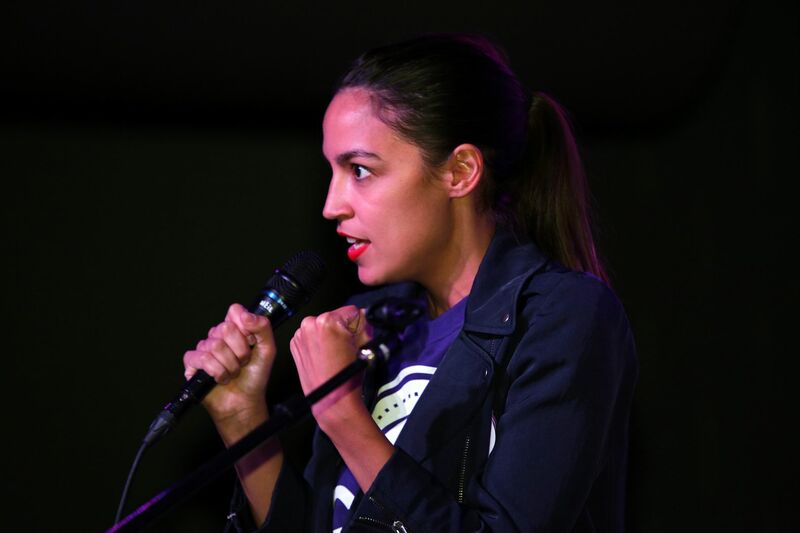 However, if she truly believes in socialism as a solution for our nation, why not put it up for public debate so that her constituents, supporters, and all Americans can understand her point of view beyond the soundbites she makes. Perhaps she’s just scared that history and Venezuela’s current dire situation would undercut her rosy view by demonstrating that socialism only leads to greater poverty and misery. Several conservative women have now challenged Ocasio-Cortez to a debate. The question is are they catcalling her too?